Very very pleased with the quality and quick delivery of my tablecovers. thank you, we would definitely recommend. Pleased with the look on the tables at the Lunch Club, cheer the room up and create a pleasant atmosphere. Good quality material and stain resistant so very easy to launder.. Speedy service. Items excellent quality and value. I ordered 6 white napkins, very good quality and I thought a really good price. Quick easy service will definitely use again, thank you! The table cloths I bought we're for our Village Hall. Originally I bought 7 but we were so pleased with them I bought a further 5!!. Ordering was easy and the delivery man just so polite. I would have no hesitation to get using your company again. Very good. Good customer service. Perfect for our circular table. Very quick service and delivery. The tablecloths are exactly as described. Bought for my WI club and we’re thrilled. Excellent quality cloth very happy with it and the napkins, just what I needed. Fantastic quality, price and service. The tablecloths were great, so good that I have ordered another 18 for two churches. Really quick delivery, excellent service and well packaged. Table cloth appears to be excellent quality but until I use it and wash it, I can not yet comment further. Great quality tablecloths, very impressed. Will certainly recommend & buy again from you. Very quick to deliver too. A fantastic company, amazing quality products with excellent service both online and by phone. A very reliable next day delivery. I would absolutely recommend this company as it offers a perfect online shopping experience. Very pleased with my tablecloth which arrived promptly. Customer service were very helpful when I rang for advice on the correct size of cloth to order. Excellent pre-order service with supplying of samples as we had to check various colours to get as close as possible to our corporate brand colour. Online ordering worked well and delivery was very efficient. The very large box that the tablecloths arrived in will be re-used so not wasted. Very pleased with quality, price, delivery - extremely good and communication. Excellent prompt and helpful service and very happy with quality of cloths I ordered. Loved You. Fabulous service - Amazingly good communication, prompt delivery, excellent product. Thank you for a brilliant service with next day delivery. Very pleased with the efficient way our order was dealt with. Tablecloths look of good quality and will certainly enhance the weddings we are hosting this year. Many thanks Ann Groves Hall Manager Tosside Community Hall. Excellent service and advice will certainly re-order. Very helpful, pleasant customer service. Nothing was a problem to them. Tablecloths lovely colour and good quality finish just what we need for civic events. I am normally sending emails to complain however in this instance I must sincerely applaud you all from the easy use of your website to the acknowledgement of order and then notification of delivery all smooth and very reassuring. Finally we opened the package to not only see the excellent quality of the product we ordered but plus you sent us chocolates and a free ‘Tea towel’. Washed well No ironing needed. and it washed up and ironed out beautifully too - well done. Excellent service. Cloths received the next day on time. with the quality and how it washed up, I’ve ordered another one in cream. Good telephone service, delivered the next day. The Tablecloths were as described! Thank you for super fast service and outstanding quality products! Very quick service and tablecloths were just what we wanted. Tablecloth arrived exactly as I ordered it. Price and arrival time were both very reasonable. The items we've received was absolutely brilliant! And the customer service are excellent. Decent quality, fast delivery and plenty of messages with opportunities to change delivery if inconvenient. Tablecloths as expected, service was great. Would defo use again and recommend. I urgently needed some additional tablecloths for an event I was running and Love Tablecloths posted these to me for delivery the next day. Grey tablecloth was fine but the Apple green was not the shade I expected. Can I return it please? The whole process was excellent and painless. Will definitely use again and I am currently arranging to place another order. Sorry I cannot comment as I did not receive my order in time even though I paid for next day delivery so therefore I had to cancel my order. Please accept our apologies the courier could not deliver your order as required. Your order has now been 100% refunded. Love our new table cloths. Great quality and price and a lovely freebie put in our package of free table cloths. Will make our set up of our events here at the centre so much quicker and easier . Thank you to Craig at Love Tablecloths. Much appreciated and will recommend anytime. Ordered a large white tablecloth for a dinner party, it arrived the next day. I've since washed it and put it away, great quality and easy to wash. Excellent service, my tablecloths were delivered super quick and well packaged. Lovely quality tablecloths. Thank you. Just to say thank you so much for your help. Honestly you went above and beyond to help us out at such late notice. and actually refunded us to with the difference, most companies would try and sell the most expensive, your honestly is much appreciated. Will be in touch again soon to order more. Great customer service. Prompt response to large colour sample request. Ordering was incredibly easy. Loved the way they resent sample napkins to ensure correct colour chosen. Products appear good quality. Looking forward to seeing them incorporated in my dining room design at a New Forest Rest Home. I am a very fussy customer! I ordered a large round tablecloth and the quality is completely faultless. The service is better than any other online outfit I have used before. Will not hesitate company and their products. Tablecloths arrived very quickly and look to be very good quality. Very good customer service, tablecloth delivered on time and the quality is superb. Such a good selection to choose from I will never look anywhere else from now on. What a good find. Excellent customer service - friendly, helpful & efficient. Delivery was on time. Product was exactly as described and there was even a little bonus guft included - for which thank you so much. Very happy to highly recommend. Meanwhile the cloths have washed up well and iron well too - thank you. Great product, excellent prices and a very efficient delivery! Highly satisfied. Absolutely amazing quality!!! Durable and dependable are the words used to describe them! Will definitely be ordering tons more. Amazing Quality and fast delivery will definitely be using this company again. Also received a free gift with the delivery which was a nice touch, asked for a call back and was called back within the hour amazing customer service. Excellent service, very helpful . Speedy delivery cloths excellent quality would definitely recommend. Great customer service from informed practical people when courier messed up delivery (I live remotely and some couriers are less than honest about delivery attempts). All sorted with ease and good will and my fabulous banqueting cloth arrived in time for the Festivities. Much admired too, have referred many friends. Happy to recommend without reservation. Excellent friendly service, and quality products on this, our second purchase. Tablecloths arrived and were as described, very pleased. Great fast hassle free service. And super table cloth - just as ordered ! Excellent delivery advice. Friendly and efficient phone service. Above all an extremely high quality well finished product. Definitely use this site again and will recommend to friends. I think the tablecloths are a bit pricey compared to other suppliers however the quality is excellent. They wash and iron lovely. If it weren’t for the price tag I’d give it top marks. Beautiful quality tablecloth and napkins. Problem with delivery as new build house, but Craig at 'Love Tablecloths' was fantastic in sorting this out for me. Nothing was too much trouble for him. His customer service is exemplary. Will certainly buy again. This is the best table cloth I have ever bought! Washed on a 30* wash and all the stains have come out, even the red wine drips!!! Dries really quickly and put straight back on table without ironing!!! Looks like a top quality cloth. I love it. They arrived in pristine condition. No ironing required. Went straight on the table. Really impressed with the quality they will last years. The black napkins are wonderful very good value and very good quality. the service was brilliant and next delivery as well. i will recommend to every one. thank you. Lovely tablecloths, better than we imagined. Very prompt delivery. Could not be happier, great value for money. Makes our Christmas table special. I was very pleased with the quality of the items. They are a Christmas gift for my son and daughter in law but I'm sure they will be happy with them and will be using them for Christmas Dinner. I will not hesitate to recommend you. Great service and delivered exactly when advised. I am really happy with the product. Looking forward to seeing my table on Christmas Day. Although the quality appears good. You sent me the complete wrong order. Which I can now do nothing about as you are closed. Very disappointed as I needed these table cloths for guests coming for Christmas dinner. My order no. 8107006032 Such a careless mistake to be made. Apologise for the wrong items sent, I have arranged to credit your order in full. Please keep the incorrect items we sent. and is also good quality for a decent price and this certainly is! It is splendid! My order was delivered promptly and the product is a very high quality. Great service - pleased with the tablecloth - can't fault the experience. So helpful when I called. Perfect for what we wanted. Will be coming back for more as the size range covers all our needs. Efficient, friendly and helpful. Good quality product too. The table cloth was perfect for my large dinner party. My heart sank when one guest spilled red wine on it!! However even hours later I washed it with some vanish & the cloth has come up beautifully clean, no stains atal. My guests were asking me where I been this it from, very impressed with the quality of the cloth. Now already for Christmas & I have passed your details on to friends. Thank you for a fabulous, reasonably priced cloth, which I am sure will last years. Arrived on time,good packaging and good quality tablecloth! First class service and outstanding quality products. Beautiful quality, speedy delivery. Recommended! Excellent quality. I have now ordered four cloths and am pleased with them. Delivery is quick. I will be back when I need more. Good quality tablecloths, arrived quickly. I will definitely be ordering from Love Tablecloths again. unlike many banqueting cloths. Would definitely recommend this company. but Love Tablecloths had lots of different sizes, and the one I bought, 108" diameter, had no central seam. Beautiful tablecloth. Very speedy delivery. Lovely tablecloth, nice quality fabric and great price. I haven’t used it used yet so hoping it washes well! The tablecloth I wanted was out of stock, but Craig in customer services was most helpful. I received my tablecloth within a week. Beautifully finished and wrapped well. Very pleased with my order and the service received. I really do love the table cloths , and the service has been beyond my expectations. Delighted with my tablecloth and napkins. Excellent, helpful and efficient service. Great service from ordering a sample to getting delivery of my tablecloth and napkins all done in a few days. On first impression tablecloth and napkins look and feel great . My order arrived promptly so quite impressed and would definitely not hesitate to use lovetablecloths again. Absolutely delighted. Large cloth ordered for my Christmas table. Incredible value and quality, and good advice when I called. From ordering to receipt of the goods the experience with Love Tablecloths was amazing. and the quality and finish was excellent. I would definitely recommend this company in the future for tablecloths. Thank you!! Many thanks for the timely delivery of good quality tablecloths. Put the finishing touch to a special event. . The service was outstanding. Delivery in under 24 hours. Quality of the tablecloth was excellent - it looked beautiful and the weight of fabric made it feel good too. Really delighted with my Forest green tablecloth and napkins. Fantastic service, very professional and rapid response to questions, great quality stylish napkins. I can highly recommend and will most definitely use love tablecloths again! Free phone, First class customer service from Craig. Expert advice on fabric and sizing. Fast delivery with DPD. Good to find old fashioned reliability. Extremely pleased with my purchase. Given all the positive reviews, beats all the high street searching. The quality of my order was absolutely first class and I am very happy with it. The cost for delivery however was ridiculously high and not justifiable, which would probably stop me from ordering again. Very pleased with the quality of this tablecloth. It was useful being able to request a sample as I could see exactly the quality before ordering. Fast turnaround and good communication. Great service. Quick and simple to order. Looks super quality, but I haven't washed and yet. Very happy with the service, speedy delivery and good quality product. Very friendly and efficient service and I’m very pleased with the products. Such good quality and fast delivery and at reasonable prices. An excellent service - yet again ! Very short notice and all completed in full and delivered on time. I ordered a few white napkins to add to some Christmas Serviette rings I had made to sell at Craft Fairs. Extremely pleased with the quality and size. Hoping to make a big impact with them. This will be something really different from the usual items sold at craft Fairs. Thank for for prompt delivery. will be ordering more, if these sell next week. Great product lovely quality. Good delivery. Also the sample service is excellent so I got exactly the right shade of burgundy, thank you! Bought 2 Blue Table cloths & Gold Napkins for table at Christmas, look Good. Easy to order - quick delivery - item as described - well done! Arrived promptly and very happy with napkins and tablecloths. Very impressed at the speed that these arrived and the quality is very good. Managers are very pleased indeed. First, in order to save money, I had ordered from the Hospitality Range. The quality was not great for posh events. But service was absolutely perfect and the table clothes which had been delivered very fast were taken back and refunded with no problem whatsoever. I then ordered the more expensive Damask range and am very pleased with their quality. Love Tablecloths is a fantastic firm to deal with. Very efficient and customer friendly. Thank You! Delivery took 10 days but I’m very happy with quality of the tablecloth...worth waiting for. Great, good cloths & fast delivery. Ultra accommodating, ultra speedy, extremely helpful and lovely quality items. Arrived well packed and quickly. Great quality table cloth and good sized napkins. Love Tablecloths provide a wonderful service which is prompt and more than meets your expectations. The help given over the phone provided the best fit of tablecloths for our tables and we are delighted with the quality. I can't praise Love Tablecloths enough! Order arrived promptly. Pleased with colour and quality. Will be placing another order in due course. Excellent quality, speedy next day delivery!! Thank you I’m very happy. Great website and service, thank you. Good service, good product, good price! I would highly recommend Love Tablecloths, in fact I have already done so. Absolutely delighted with the product and customer service. Love Tablecloths went the extra mile! Excellent service. Worth calling as got great advice. Prompt delivery (needed quickly!). Great products. I ordered tablecloths for my business and received them within 2 days. Excellent service and products and very reasonable prices. Will definitely be placing future orders. I ordered tablecloths & napkins. I would just like to say Excellent goods and service. Would use again, no hesitation. Many thanks for accepting our order as the table cloths are great and were so with your service as it could not have been better. Fantastic service all questions answered kept up to date re next day delivery. And a little pressy included what more could you want. And the tablecloths were fab and all red wine stains disappeared when washed perfect. Quick and efficient service - great product. Lovely quality white satin band tablecloth. Very fast efficient delivery service. Excellent advice when purchasing by Craig Quicker than expected delivery. Fantastic company. Quick delivery and very very helpful with advice on sizes etc. I use this company a lot for set dressing in television and can totally rely on order and delivery. Very happy with our purchase, they are of an excellent quality and look fantastic. Easy website to negotiate and order. Prompt delivery with messages to show tracking and delivery time. Bought the white tablecloths and napkins. Great value for money. Would buy from them again. Fantastic service provided - and really helped get us out of a pickle. Quality of the tablecloths is first class too. online ordering was also easy to use and had no issues. Thank you! Perfect! description was spot on and delivery was earlier that expected. Very good! Great service. Cloths to their usual high standard. Items are great quality and delivery time is fantastic! Great turnaround and very happy with my products. and am pleased with the quality of the white tablecloths and napkins I received. Great quality and delivered on time. Very speedy service and great quality goods. Great quality table cloths brilliant staff very helpful. Quick delivery good quality product. Excellent, beautifully made, quality tablecloth. Excellent service and quick delivery. I am really pleased with the tablecloth I ordered. The Ice White tablecloths are beautiful and value for money! Very impressed with the service too! Thank you also for the added touch of a free gift with my order - a lovely surprise. Speedy delivery and have found just the product which matches my requirements in both quality and size. in getting them to us in time to meet our deadline! Great customer service. I ordered a sample which arrived within 2 days. The quality of the napkins was very good and I got my delivery the day after ordering. I will definately order from Love Tablecloths again. Excellent all round. A generous swatch, next day delivery and a free gift of two good quality tea towels, too. We are delighted with our new table master tablecloths and the very reasonable price. Very white tablecloths as advertised. Quick delivery. Very happy with purchase. I LOVE this company.Table cloths are fantastic quality and the service is amazing. One phone call and the cloths arrived next morning! Really great. Thank you. Thanks for such a swift service ! And also the tea towels were a lovely thought! Just what I wanted for my event -The size is perfect for large tables. Great top hotel quality tablecloths. Quick & Tracked delivery exactly on time - I am delighted & will recommend.Thank you. Great service, helpful staff and good product.Thank you. Very good quality cloth, neat stitching. My first time using your company and a short notice request from a bride. I received the tablecloths within 2 days and that was ordering them on a Sunday. The quality was excellent and I received a lovely gift from you. Thank you so much and I’ll be using your company in the future. Fantastic service, customer service is excellent. Speedy Service - Great Product - Value for money - Would recommend. It was our first time to place an order with love tablecloths and the quality of cloths are fabulous. I required a large amount of cloths and they were delivered the next day. 5 star service and quality. Will highly recommend purchasing from love tablecloths. Thank you for your efficient service. I needed tablecloths in a hurry and you supplied exactly what i needed and it was delivered in good time. Very happy to use you again should the need arise. Just wanted to say Thank You for making/delivering table cloths as requested. Love Tablecloths was one of my greatest finds. Just can’t stop ordering. We must have the best dressed party, wedding, christening, tables etc., for a Village Hall anywhere. And what’s more, it’s always a pleasure to talk & deal with Love Tablecloths. Wish there was more people like them! I would like to thank you for all your help and patience when I had to ask for lots of different samples to be sent, and your help with the order. It’s nice to deal with a company that has helpful friendly staff at the end of the phone. 10 / 10 for your customer service. Perfect. I’d looked everywhere for a large, square table cloth for our bespoke table and it fits a treat. Thank you. Website was easy to use, ordering was simple, delivery came within the stated delivery slot and the goods were of very high quality. Exactly as ordered ,can recommend. Craig, rang you last week in a panic to buy some table cloths, you were a star and got them on the delivery van and they arrived in time for our function. My cafe staff are delighted with the product too. many thanks. You have been really helpful and I have been impressed with the range of products and speed of delivery. I will definitely use your company again and will recommend you to others – its nice to deal with a real person who cares about customer service. Thank you so much for correcting my tablecloth order so quickly, it was very nice of you, very good customer relations. I love the cloth, super quality and really pleased with the colour. Will recommend you to anybody. Excellent service and excellent product - a very happy customer! Just wanted to drop you a line to say thank you for all your help last week. All arrived safely on Saturday and a wedding had napkins. Can’t fault your service and will definitely use you again. This is the second order that I have placed for the Vanilla Ivory tablecloths for my bed and breakfast. The material is a very good quality, that washes and irons really well, and takes next to no time to dry, allowing for a quick turnaround. Would definitely order again. Delivery also very prompt. We are very pleased with the table cloth we ordered, we were also very happy with the support from Craig. The Parcel Force part did not match the delivery schedule and thus missed using the cloths for a get together but Craig was very interactive with managing it. I just wanted to say thank you for the excellent service I have received from start to finish. The napkins are a lovely colour and really great quality. Everything was great and they arrived in plenty of time for our event.Thank you. Bought 20 Italian Check tablecloths, in various sizes, for use in our village hall. Quality is fabulous and colours perfect. Great price provided you buy 5 or more. Although I ordered this online, I did speak to someone on the phone, who was extremely helpful. Great company to deal with. Thank you. Received table cloth as when we were told and was very pleased with it, the quality was really good would order again from them. I’m very happy with the cloths I ordered for my restaurant. The quality is very good and they are exactly what I was looking for. Delivery was quick and I appreciated the progress messages I wouldn’t hesitate to buy from you again. Thank you very much. Thank you so much - what amazing customer service! Hope you're enjoying some sunshine today. Brilliant service and very accommodating for my tight deadline- would recommend! Thank you for your swift attention and delivery. T towel much appreciated. Hi I loved the colour of my table cloth & the quality of the material, however I was really disappointed that the finished edge was overlocked & not hemmed. Hi Anita, Thank you for sending in your feedback it is very much appreciated. The 'Style Bistro Range' is available in an overlock hem only due to the finer yarns in the fabric. If a standard 1cm hem is used, the fabric it will pucker and distort in manufacture. You are always so helpful and happy and polite . You always give tips on stain removal on the linen that I have purchased . Thank you very much for the 2nd set of blue cloths - arrived perfectly and in good time as usual. Delighted with quality of tablecloths and napkins. Excellent value for money. Would definitely recommend to anyone looking for table linen. This is the second tablecloth I have purchased recently from you so obviously I am delighted with your product thank you and the range of colours is fantastic. Thank you for my tablecloths, they are top quality and I couldn't be more happier, I will certainly be back to order something else in the near future. The colours and finishing of the hems were just how I expected them to be. Hi Sharon, Thank you for taking time to send in your feedback it is very much appreciated. Hi Craig, Table cloths are great. Speed of service and delivery brilliant. Very good service, helpful when I selected wrong delivery option soon sorted on the phone. Order arrived quickly and my yellow Tablecloth’s perfect for Easter . After searching for a couple of months found just what I needed at Love Tablecloths. Will definitely use again! First class service and fantastic quality. The serviettes are exactly what I was looking for. I don’t know when but I know I will be back. A wide range of table cloths to suit all tastes, great service, speedy delivery, excellent quality and first class after sales care. This company has it's customer proposition nailed! OMG! I can't believe the quality! Ease of order, speed of delivery and quality of the products all without fault. I generally like to suggest some area of potential improvement but everything was tip top. Excellent quality items. Fast service. “I have used your products for a couple of exhibitions we have designed and I have been delighted with the choice of colours, styles and sizes which enabled us to achieve our design intent every time. The gingham colours are vibrant and no creases from straight out of the packet. On top of that excellent service too ensured we had the right product in good time for the show. On top of that excellent service too ensured we had the right product in good time for the show. Many thanks and highly recommended." A brilliant service from first phone call to delivery when expected. I especially love how you can order as many or as little as you want. The colour was absolutely perfect to match everything else. The napkins also washed brilliantly (washing instructions included). I will most definitely be ordering more. (Craig was very helpful). Beautiful cloth, very good value and speedy delivery, very well packaged. Very pleased with my purchase of two circular tablecloths. They brighten my breakfast room table and look very cheerful and crisp. Fast delivery too. This note is to say what wonderful service we received from Love Tablecloths. He kept me up to date regarding shipments and was a pleasure to deal with on the telephone. We cannot thank you enough for your help and service! Your quick response was very much appreciated. The tablecloth delivery was on time and as a result we were able to get everything ready for our event on time! The quality and look of your product is amazing. Fantastic service!! The table cloths are of a fantastic quality and are everything we were looking for and more! So pleased with them, and as for the customer service and customer care throughout the process or purchasing them, I could not fault. I will 100% be purchasing of Craig and the team again – thank you ever so much! Thank you for the Table Covers, they are perfect. I've just moved house and redecorated. There was a really good range of colours and I could match the new tablecloths to my new decor. The service I received from Love tablecloths was exceptional and the quality of the product is absolutely fantastic and above all expectations. Delighted with the table cloths. Excellent and helpful customer service. I could not fault you and I am very particular. Very efficient and speedy service - product exactly as i had hoped and expected. Excellent - delighted with my table cloth. I accidentally ordered the wrong product so I called to change this thinking it would cause a problem but it was rectified in a few minutes with no hassle and arrived the next day. Such a relief to find someone polite, cheerful and helpful on the other end of the line! Cannot fault the table cloths. They are ice white as described, good quality material, well protected in the parcel, arrived quickly and we're good value, the best price I could find online. Thankyou. These are for my daughter's weddings and fit the bill perfectly. I ordered a single bistro table cloth in charcoal for our home.It arrived today and I just wanted to tell you that we are highley delighted with your product and we've never seen a table cloth made as well. I will be ordering again in the future. Thank you. Thank you so much - this tablecloth is very good quality and is well made. I am happy with it and I will be recommending you to others. Really good company to deal with and very pleased with the quality and finish of our cloth and napkins.Highly recommended. Very pleased with the quality of the tablecloth - good value for money. Item delivered safely and on time. Great service, wonderful table cloths and better value to get 5 than 4 because of your offer!! Fabulous phone advice, great quality napkins arrived even sooner than promised and prices are amazingly good value. Thank you, our Christmas table looks very inviting! I would just like to say a huge thank you for getting my table cloths out so quickly and before Christmas your products are excellent quality as is your service. I will definitely recommend you to others. Thanks again and all the best for Christmas and new year. Kind regards. Had tried for ages to buy a large table cloth and napkins to machine you were able to provide both. Also the free samples sent before ordering allowed me to choose the exact correct colour....sometimes difficult when ordering on line. Quality and price very good. Have already told several people about your company and would certainly use you again. Great quality tablecloth at a reasonable cost. Beautiful colour range. Easy care. Swift delivery despite pre Christmas ordering! Brilliant service. I trawled the High Streets for Bistro sized table cloths. None anywhere. Saw this website and what a choice there was. I ordered exactly what I wanted and it arrived a few days later. Lovely quality and colours. Very happy. Thank you. Thank you so much for a fabulous buying experience! The ranges and colour options available were good. Would definitely buy from love table cloths again! Thank you for the prompt delivery. The table cloth is perfect, good quality and looks good on our table with the festive table decorations. The cloths look great - they really brighten up our dining room - lime, fuschia and lavender make a great combination. Thank you! I requested a sample, which was sent promptly. The reason I placed an order was simply due to the fact that A.You sent a sample to customers to allow them to see the product before committing to purchase. B.The product is of excellent standard. & C.The tablecloths were dispatched so quickly! So - full marks for providing an excellent service and I will fully recommend you. Thanks again! Really happy with the raspberry linen tablecloth and napkins the colour really matched what I saw on screen and the quality is very good. Thank you. Thank you for your prompt service. I am very please with the navy cloth I bought. Excellent quality and exactly the colour I needed. I could not have been more pleased with the two tablecloths I recently ordered. They are just what I expected from the web site. They arrived promptly perfectly packed. Thank you for your very efficient service. I ordered 2 Italian Gingham clothes for a Macmillan Coffee Morning event. The quality is excellent. Washed brilliantly. Really pleased with the product and service. Excellent quality product and timely delivery. Lovely quality product, perfect for my Christmas table. Super service as always Thank you. Excellent service and I am delighted with the products - thanks! Great service. Good quality tablecloth. Very impressed with the product and extremely efficient delivery. Many thanks. Hi I would like to say a huge thank you for the great tablecloths, I ordered a pack of 5, and they were much longer than I had anticipated, this was a great bonus, they looked beautiful. Kindest regards. Very pleased with the tablecloths. Good quality and easy to order. Received much quicker than the estimated timescale. Had a query when didn't get an email to confirm the online order but telephoned on a Sunday and Craig got back next day with a message and email confirmation. Would use them again. I am really pleased with my new red table cloth it is the second tablecloth I have bought and the quality of them both is really good I would recommend them to everyone. The tablecloths and napkins I received recently were made from beautiful fabric and finished in a very professional style. I have ordered more and would certainly recommend Love Tablecloths to my friends and family. Really speedy delivery, and I love the tablecloths. Really good quality, I will definitely order from you again and recommend you to my friends. Thank you so much Craig for sending the sample napkins for me to (try) and make a toy elephant for my little grandson;s birthday. It was so kind of you to take the trouble and I couldn't believe that they were there next day. Great service! I am the Set Decorator on Strictly Come Dancing and can't thank Love Tablecloths enough for such a quick turn around - I needed next day - and they more than came up trumps - we will be back. I'm very pleased with my first purchase from your company. The colour is true to the web site and the quality is excellent for the price paid. I will definitely be buying more. Very good value. Fantastic quality and I will be purchasing more! I'm very pleased with my lime green tablecloth and napkins, they give my grey room a real splash of colour. Ordering was easy and delivery good, a professional service all round. More than pleased with both product and service received. I would not bother looking anywhere else in the future. I have probably ordered eight or nine tablecloths from you and wouldn't buy from any other source. They are a dream to wash and dry and need no ironing. The colour range is great and delivery time excellent. I am an extremely satisfied customer, and it's nice to be able to say that to someone for a change!! Many thanks for a great service. Fabulous service, great quality tablecloths - will definitely use again. Tablecloths appear to be good, but we have to wait and see how they wash! My first order of ivy leaf table wear, great quality,arrived quickly and will order again. Very pleased with the Napkins. No issues, or fuss, just good service. I am very pleased with the purple napkins received from you last week. 'Wonderful Tablecloths' - Great service, fantastic tablecloths, fast delivery and I will highly recommend you plus I will order again. Excellent quality cloths, wash and dry easily. Hope they cope with a lot of washing. Arrived very promptly so good service.Thank you. Lovely tablecloths, colours great and excellent service. Haven't washed either yet. Excellent quality. Looks good in my Dining room. My second order from you has just arrived, different cloths from the first order, same amazing quality, and the same fantastic service. I wouldn't buy cloths from anywhere else... so glad I found you!! Hi Craig, the tableclothes are lovely - just what I was looking for, and thank you for your excellent and prompt service. I'll definitely keep your details for future orders. Delivery arrived on time and cloth quality exactly as described thank you for great service and value. I love the tablecloth I ordered. Beautiful colour and just what I hoped for. Delivery was prompt and I am very happy with my purchase. We are delighted with our orders of sets of Treacle Black Table Master Packet of 5 (Circular) Tablecloths 224cm (88") Diameter, both in terms of quality and appearance, and the excellent service provided throughout. We would not hesitate to recommend! Thank you. Thank you for my beautiful white tablecloths. My dining table looks very stylish. And a big thankyou for the extra free cloth. A very nice surprise. Great quality tablecloths and great service. Very speedy despatch and delivery. Very pleased and will be using as my sole supplier for tablecloths. Hi, I was thrilled to bits with my tablecloth and those napkins are amazing. I have always struggled to buy cloths large enough for my table, so pleased I found your web site. There is nothing on the high street to compare with this. Thank you the feedback it is very much appreciated. The best way to purchase for single items is to use the super saver option which is 10-14 days @ £5.00 plus vat. Lovely tablecoths, great service, looking forward to using them, Thank you. Lovely quality and fantastic price. Will buy again. We love our tablecloths! They look really nice and we have had some great comments so will be ordering some more soon in different colours. Thanks. Wonderful friendly service. The table clothes all arrived promptly, even at short notice. Fabulous quality and good strong colours too. Transformed the room. My tablecloth arrived and instantly I loved the colour! It is a lovely quality cloth and made my craft table at a local summer fair look amazing, I have several more fairs booked over the coming months and am looking forward to them knowing my table is going to look stunning, thank you. As promised, your splendid table cloth and napkins arrived on Friday As the extension leaf for our table is not in situ at the moment, I cannot comment on the fit but, as previously experienced, you will have made it according to the specs that I ordered so any miscalculation will be mine. Your records will show that we have a matching smaller red gingham table cloth and four napkins, which are going well, look as good as new, especially as, when we compared the colour with the new one, it was identical. They are very easy to wash and dry. The new napkins differ slightly insomuch that there is now a handsome finish around the edges. Now my wife and I shall know which ones are ours whenever we have all six in use!. You also enclosed two larger napkins which I did not order and for which you did not charge me. If this was a mistake, I shall be happy to return them. On the other hand, if they were included ex gratia, then I thank you very much. Your products, website, style of marketing and maintaining contact are of the highest order and my wife and I would recommend the company without hesitation. Love my new tablecloth. This was the colour I have been waiting to get but when I have looked in the past it was not in stock. So delighted when I was on your site to see it was available. Bought a Lovely checked blue table cloth, excellent customer service and correspondence. Very quick service , will use again 10/10. Great products even better service. Just had to write a big thank you for our recent delivery of two tablecloths. We were very pleased with the quality and brilliant delivery. Well done and thanks once again. Many thanks for your efficient service, made it a pleasure to order and receive quality tablecloths which are easy care and fit for purpose. 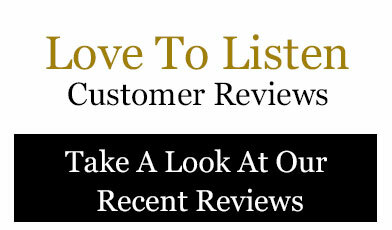 Customer service was excellent and shall certainly have no hesitation in recommending you to others.Thanks again. So impressed with the quality of service from start to finish, and delighted with the quality of the tablecloths. They're a nice weight, and well finished. I would not hesitate to order from you again. Many thanks on behalf of The National Library of Wales. I’d just like to thank you and the Love Tablecloths team for your advice, quality product and amazing customer service. To call and chat to you yesterday was a pleasure. You were so helpful on the sizing and I ordered immediately. The tablecloths for the wedding reception on our arrived this morning!! Less than 24 hours from when I called you – amazing! The tablecloths are of excellent quality and are perfect for our event. The reason I picked you? Your website is excellent, very helpful and that you have been supplying both general customers and the hospitality trade for many years filled me with confidence. We’ll be back! Thanks again. I was very happy with the quality of my tablecloth when it arrived. it was even better than I expected, so much so that I will be ordering another one in a different colour very soon. Thanks for our lovely new table cloths - I had been using disposable ones for parties in our restaurant. I used our new ones yesterday for a Holy Communion Celebration for a family of 45. Fantastic quality napkins at a great price and a speedy delivery - will definitely use again. I just want to say how impressed I am with the quality of the cloths I purchased, they washed so well AND no ironing!! I used them last Sunday and followed your washing guide afterwards. Brilliant. I am so delighted with them. Many thanks. Thank you very much, everything was delivered on time and looks beautiful!! I will surely buy more products from you guys. Very professional, but friendly, exceptional service, very easy to order and brilliant that you offer next day delivery. Will use again. Absolute WOW factor when I opened the package. Colour is perfect and the finished edging coordinates so well with the main colour lilac. I am about to order another smaller one now as our table is oval and The overhang on each corner is too long. My mistake. I will use the larger one on our oblong garden table so no problems. Just received 4 complimentary napkins,what a nice surprise to get them so quickly! Thank you very much for your brilliant customer service, it's a pleasure dealing with Love Tablecloths. Happy Easter Craig, and all your team. Thank you Craig, the tablecloths arrived, thank you very much for the tea towels, a lovely gesture. Brilliant and quick service. The quality of the tablecloths we ordered were very good and great value for money. Highly recommend this company. Many thanks for your efficient service. Your tablecloths are very reasonable, cheap in fact and although I was unable to order online as my email address was not accepted, with a contact number easy to find I was dealt with quickly and efficiently. I will return. Ordering online can work but when it doesn’t it is very frustrating. Thank you for avoiding the frustration!! I would like to express my thanks to Craig for the excellent service he gave me from start to the delivery of my items. I ordered 20 large circular tablecloths on Monday and they arrived on time on Tuesday. They fitted perfectly ready for a wedding reception on Saturday. So thank you very much Craig for all your help and if I need anymore I will return to you. I will also recommend you to anyone else that asks where to buy items from. Wendy Williams, Abbey Hill Golf Club. Very pleased with my round tablecloths, good quality material and lovely colours. I would recommend this company. Very good customer service. Thanks. Lovely material and perfect colour. Very happy with the tablecloths, the material drapes nicely and our match tea tables are looking really good now! Thank you. Very Pleased with quality of the cloths and fast delivery! Excellent friendly customer service, would highly recommend. Hi They were great just what we were looking for the right colour easy to wash and easy to iron. Tablecloths safely received and exactly what I wanted. Good quality, and delivered as requested the morning after the order. Many thanks. Very pleased with your service and the quality, and I shall certainly be ordering from you again. Beautiful tablecloth. Lovely subtle pattern and excellent quality. Thank you very much. The tablecloths arrived in good order and are lovely. Good quality material and would grace any table. Am very pleased with them! The tablecloth and napkins are lovely. They are made from a high quality fabric which seems to shrug off stains. Really pleased with tablecloths. Good quality and arrived fast and efficiently. Thank you. We bought 4 tablecloths which were delivered two days ago. Because we have a large table, we had difficulty in finding where we could but big enough tablecloths, but your large size is perfect. We have laid the 4 on the table are are impressed by the excellent quality. We have 2 English rose ones, one in Burgundy and the other in ivory. They look stunning. and feel wonderful. The other two are natural weave, wedgwood and aquamarine. Fabulous. Quality is wonderful and the colour shades are beautiful. Thanks very much. We will now order napkins. What a great range of product. I was able to find exactly what I wanted and have it delivered promptly. I am thrilled with the table cloth, it looks great in our conservatory. Many thanks Craig. Great idea to send samples.I have found it difficult to find 54ins round tablecloths and these are idea.Cannot comment on washing them as I have just started to use them.Excellent service thank you! Speedy , professional and helpful service. I needed the cloth urgently for a shoot and they came up with the goods on time. Excellent quality too! Very helpful customer services, tablecloths perfect fit and good quality materials very pleased with purchase. My tablecloth and napkins have arrived. Thank you so much. I'm so pleased with them and of course the fabulous service you provided. Your recommendations about which table cloth to go for were brilliant. Once again thank you and wishing you a Merry Christmas. I must thank you for your help with my order. Delivered in time for function. Thanks again I would have no hesitation in using you again. Merry Xmas. Cheers. We received the tablecloths a few weeks ago and finally unboxed them and used them for our Christmas Ball on Saturday – they were/are spot on mate. Thankyou for helping me make the right choice and getting them to us as and when you said. A real pleasure doing business with your firm. Excellent customer service. Very prompt delivery and I'm very pleased with the product. May be tempted to buy another (non-Christmassy) coloured tablecloth in the new year. This is the second time I have ordered with Love Tablecloths and am delighted to say the service has once again has been excellent. Great to find somewhere that can supply round tablecloths just the right size, quality and colour all for a fair price. Many thanks Lovetablecloths. Excellent service and always extremely pleased with the quality and appearance of the table cloths and napkins. Have a large 10 seat dining room table and virtually impossible to buy tablecloths in that size from local stores. Really pleased. Good quality, good value and quick delivery. Well done! Great service and quality didn't like the colour amazing customer service arranged return immediately. Easy ordering. Excellent communication with regular updates. Product arrived on time & well packaged. Quality of item is excellent & I am very pleased with them. I would certainly use this company again & would recommend them. The delivery was very prompt and the table cloths were just what we were after for the Christmas dining table. They feel very good for the cost. I needed a very large tablecloth for Christmas as all family coming for dinner and my table will be extended to its maximum length.Looked at many sites and came across yours---and am I glad.You have provided me with the perfect size and excellent quality tablecloth for Christmas.Thank you very much.I will definitely be recommending you to others. Lovely table cloths, searched high and low for a good quality table cloth at a reasonable price as I needed 8 of them and I'm so glad I ordered them from you.The quality is lovely, delivery was on time and the price was actually below what I was expecting to pay - kerching!! This was my first order with Love Tablecloths and I am really happy with the delivery service and the quality of the tablecloths I ordered and they were a great price too.. A good range of colours available and being able to get samples of colours before ordering was very helpful .Customer service and advice was also excellent. Thank you for kind gesture of the extra cover included with my order .It was very much appreciated. I would certainly recommend Love Tablecloths to others based on my own experience. Thank you for your quick and efficient service when ordering tablecloths last minute! We would also like to thank you for the gift included, unexpected and a welcomed gesture. Very pleased with both the tablecloths and the service provided. Was advised when the tablecloths were dispatched and arrived as stated. All round first class service. Excellent quality, value and great service. I would recommend them. Delighted with the circular tablecloths that arrived today. Exactly what I wanted and thank you for your help when I rang and prompt service. Much appreciated. Purchased the delux satin and ivy leaf cotton table cloths. Excellent quality and value for both items, will be purchasing more very soon. I was really pleased with all your services and the fact that you were able to swap the smaller sizes of the table cloths I ordered for to bigger ones. And thanks very much for refunding back my balance. I ordered tablecloths from your company and was very impressed with them and your member of staff. Staff were ever so helpful, they even helped me complete the online booking form and showed me how to get the discount for goods ordered. Tablecloths arrived the next day and were of a very high quality. Thank you for all your help this was most appreciated and your staff are a credit to your company. I would definatley recommend and use this company again. Thank you. I was very pleased with the tablecloths. Very strong material - I was surprised. And the colour goes with my armchair very well. Delivery time was perfectly acceptable, and packaging was good. Fantastic service - items arrived first thing the following day and cloths are of a very good quality. Great customer service overall. Thank you so much for my order. The quality of the tablecloths is excellent and real good value for money. I placed my first order last month and was delighted with the product I've ordered some more. They wash well at 30 and no ironing is required. I love the hem stitching finish to the tablecloths. I will order again with confidence and will happily recommend to family and friends. These guys are the superhero's of tablecloth provision! I needed some tablecloths for a very quick turnaround, I called after the cut off on Thursday, a very lovely Craig came to my rescue who went above and beyond to dispatch my order which arrived in good time the next day. The cloths looked great and added a classy edge to the atmosphere of my event. We'll be ordering again from you in the future. Thanks tablecloth team! Thank you very much for my table cloths very pleased with them. Excellent quality, excellent service. Will definitely be using you again in the future. Just wanted to say how pleased I am with the tablecloth and napkins which are of very good quality. I'm sure I will be ordering another set in a different colour at the beginning of next summer. A very good cloth and napkins. The tablecloths are of excellent quality! Looking forward to using your company for more orders. I phoned to ask if tablecloth could be delivered earlier than published and it was delivered almost immediately- I love the colour too- just what I wanted! Thank you. I love the tablecloths. Thank you very much for your help. I really appreciate everything you've done to make my purchase easier than ever. Thank you for the lovely tablecloths. We have a special event at church this weekend so out tables will look lovely. The tea towels will be very useful as we never seem to have enough! Many thanks for a delivery within 7 working days. Just received my black and white tablecloths. I am so surprised at the excellent quality! I thought as the price was so reasonable that they might be slightly inferior. How wrong was I!! I am very happy with them and will DEFINATELY use you again AND tell all my friends. Thank so much for your professionalism and quick delivery. I am very impressed. Great service, very prompt despatch. Excellent choice , excellent service and delivery. I liked very much the finished edging on my Tablecloth. I would definitely recommend your company. The service we received was second to none. When I phoned with an enquiry the response was immediate, no long queuing in an automated system. We live in in a remote area in Spain and the table clothes we bought arrived promptly and, more impressively, at no extra cost. Also, when I explained that we don't get a delivery to our property and was concerned how it would reach us, Craig said to let him know if there was a problem and he would chase it for us. I have no hesitation in saying you provided the very highest level of customer experience and I will certainly buy from you again. I received my order of tablecloths - thanks so much for speedy despatch. I bought a plan pale-blue tablecloth for my 2.5 metre kitchen table, and a white tablecloth for the dining room with a 1.7 metre table, and a burgundy top-cloth in damask. I am so glad found you! It is so lovely to have just a plain colour cloth for the kitchen, over which overlay patterned cotton cloths which can be removed often for washing, and it is lovely to have a traditional damask tablecloth for the dining room, with a burgundy top-cloth to add a splash of colour. I love the quality and the price, and I was so pleased you delivered to France within just a few days. I shall be ordering more, in the future, to give me a choice of colours. Thank you order received and very pleased with the contents. Great service - my tablecloths are exactly as expected. A mistake with the delivery where only one, rather than the two, tablecloths I ordered was very quickly rectified, and the missing one was delivered to me shortly afterwards, along with some very welcome complimentary items and a handwritten note from Craig. It was so nice (and sadly unusual in these days) to experience such attentive customer service! Very impressed and would definitely order again. Many thanks. Hi! Just to let you know I am totally thrilled with my last order for 35 x 35" top cloths. Everything from order to receipt was straightforward and efficient. Thanks for the tablecloths, delivered this morning and fit just great. The tablecloths ordered came quickly and were really lovely quality. Very pleased. Thank you very much, my tablecloths are exactly what I had been looking for and I will certainly use your company again. Thankyou now received the teal table cloths very pleased. Just to say I am very pleased with my tablecloth and it was also delivered very promptly. Thank you. Very pleased with my order will be ordering some more in a short while. Thank you. The tablecloths quality are first class you also have a great choice of colours and sizes. The order was delivered in 7 days as promised on time. Thank you for the free tea towels. The Gingham tablecloths looked fabulous at the event, everyone was impressed with the quality and colour. Wonderful customer service, the items arrived as you promised in 2 days. good quality and well packed. Just a quick thank you for the lovely tablecloths. Thank you, You have been very helpful getting the size’s right for our tables. The ladies in the church was delighted with them, the tea cloths was a wee surprise thank you. The post was very very quick and it was lovely talking to you. Hope we can order from you again. God Bless. These tablecloths are very good quality so much so I have bought four altogether. I will recommend this company to friends and family. Fantastic table cloths, good quality and just what we were looking for. Thank you Craig we are very happy with the table cloths and runners good quality. The service you provided was excellent will be back in the future. Very pleased with Milano red gingham check tablecloths that I have received , good quality & excellent service & delivery, will use again & recommend. A pleasure to buy my new table linen from you. From start to finish your attention has been superb. Only a small order but you listened to my requirements and met my expectations 100%. My thanks and congratulations to all your staff for a first class product. I hope your business continues to succeed and wish you the best for the future. Again, many thanks and best wishes. Thank you very much for prompt delivery. They arrived yesterday. I haven’t unpacked all of them yet, but they certainly look exactly what we need. Thanks for the prompt shipping. My order arrived in time even though I had left it late. I had ordered from you before and was happy to revisit your site. I particularly appreciate the large range of colours you offer as that makes it easy to do an exciting table for special occasions. I use one of your cloths for every day as well. They clean so beautifully. Again, thank you. Hi Craig! Thank you so much for the tablecloths! And for the tea towels too, a lovely surprise. Amazing service, thank you so much for turning around the order so quickly! This is the second time we have purchased tablecloths from Love tablecloths and have been very pleased with the quick turnaround and excellent quality. Our tablecloths are used in an Independent school environment, sometimes outdoors and need to be heavy-duty, we will certainly continue to use Love Tablecloths for our business. Received today with our thanks.They are just what we are looking for our Holiday Cottages. Just to let you know that the tablecloths arrived yesterday afternoon. I’ve opened one of them – perfect! Thank you for your excellent service. Excellent value, good quality. Delivery slow, but at least they arrived at the right house. Ordered some from another company, utter fiasco. Would consider using this company again. Very pleased with tablecloth and napkins right shade of yellow. Thanks for advising away from the luminous yellow. Will be looking out for Christmas Cloths nearer the time. Received my tablecloth in good time and am extremely pleased with colour, size, quality and delivery. Tablecloth is great. Needs very little ironing. Washes very well. Very pleased with my order. Easy to use website but I ordered over the phone because I needed a bespoke size. My tablecloths, runner and napkins arrived promptly and look stunning. Looking forward to my guests comments at supper tomorrow. Craig was most helpful, sent me samples of colour and dealt with everything very smoothly. Thank you. Very pleased with tablecloths,already placed a further order and awaiting delivery. I am very pleased with the order I have just received. Both tablecloths are well made and nicely fit my dining table which is an unusual size. I have had difficulty in finding the correct size in a pattern I like but your wide choice made a solution easy. I received my tablecloth the other day and was very pleased with it. The service you gave me was second to none having ordered a tablecloth and finding it not suitable as the fit was not right. I phoned you up and you painstakingly took the measurements with my husband and new exactly what the problem was. You kindly then sent a second tablecloth which fits perfectly. I would certainly recommend your company anytime. Thank you so much for your painstaking and thoughtful assistance. Even when I'd goofed they sorted it out - thanks! The table cloth was exactly what we wanted, Nice to be able to buy awkward sizes. I ordered only 2 tablecloths for personal use, but they were delivered so quickly, I am so pleased with the colour and quality. Will order again soon, thank you. Just had to write to say my Tablecloths arrived yesterday, how brilliant they are!! Superb quality, looked really good at the Church Coffee Morning we run. My table cloth and napkins arrived prompt, I am so pleased with the quality I will be using you in the future. Just to say that I was delighted with my table cloth and napkins. They were much admired by my friends! Despite the original mix up of sending the wrong size the problem was resolved quickly and the replacement was perfect. Craig, in customer services, was most helpful when I rang to report the problem. The choice of fabrics and colours was very good and I’m sure I will order next year’s Christmas tableware from you. We only ordered one tablecloth, but once the order was sent (Which took a few days to get it ready to send) we received it quickly. It was packed well. Unfortunately, but not unexpected, red wine was spilt on it at Christmas, but it washed out OK, back to brand new. The only thing i would say against it, is there weren't any washing instructions attached to it, so over time i may forget the best wash setting/no need to iron etc. I was really pleased with it, and will be ordering some more in a different size and colour. Thank you very much. We would just like to say how pleased we are after receiving our first order. We ordered a Red bistro style table cloth and napkins, Teal bistro style table cloth and napkins and the Milano Red Gingham check table cloth. These were received before Christmas and used over the Christmas and New Year period. They wash wonderful and we would highly recommend these products to your future customers. Thank you for delivery of new tablecloth. Very pleased with quality and service. Needed a large red tablecloth for Christmas. It is great didn't need ironing after washing. Result! I’m happy.